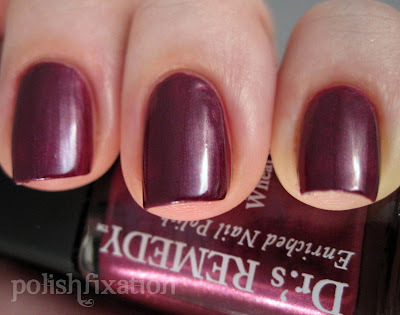 polish fixation: Dr's Remedy Jolly & Joy! Dr's Remedy Jolly & Joy! The holiday season is upon us and Dr's Remedy has a new set of seasonal shades that are festive, sparkly, and gorgeous! It's called the "Jolly & Joy" set and they are "seasonal shades to enchant, inspire, and ignite". If you are unfamiliar with Dr's Remedy Click Here to go read information in a prior post. Essential Emerald is "A take on the classic tree-and-plant-inspired gem of a shade, with delicate glimmer and unparalleled amounts of glamour". Pictured is two coats that went on with ease. Drs Remedy consistently has such an amazing and easy to work with formula in its polishes! I love this color and it's very unique to my collection! Passion Purple is "A bombshell-boysenberry with subtle silver meshed throughout". Another gorgeous shade here, 2 coats and it's perfection. The silver shimmer definitely is subtle but really makes this polish special. Revive Ruby is "A shimmer-infused Wizard of Oz inspired shade of crimson". This is definitely my favorite non-glitter polish of this set! I never used to be a big fan of reds in general but it's ones like this that have really opened my eyes to how amazing red polish can be! Two coats of fabulousness! Serene Silver Glitter is "A seasonal sizzler like no other; shine, chic, totally unique in the metallic scene". I can't even begin to express how awesome this glitter polish is! I put on 2 coats but, if you can believe it, this probably would have been just fine with a single coat! In the bottle I thought it would be a layering polish, but I put it on a naked nail and it worked out just fine on it's own. 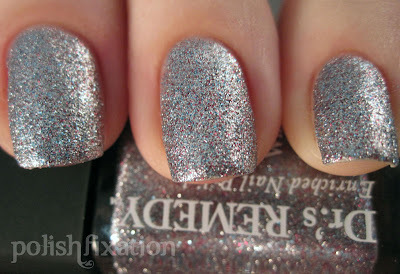 I love glitters like that! I also love the hints of color that peek through the silver. Really pretty! 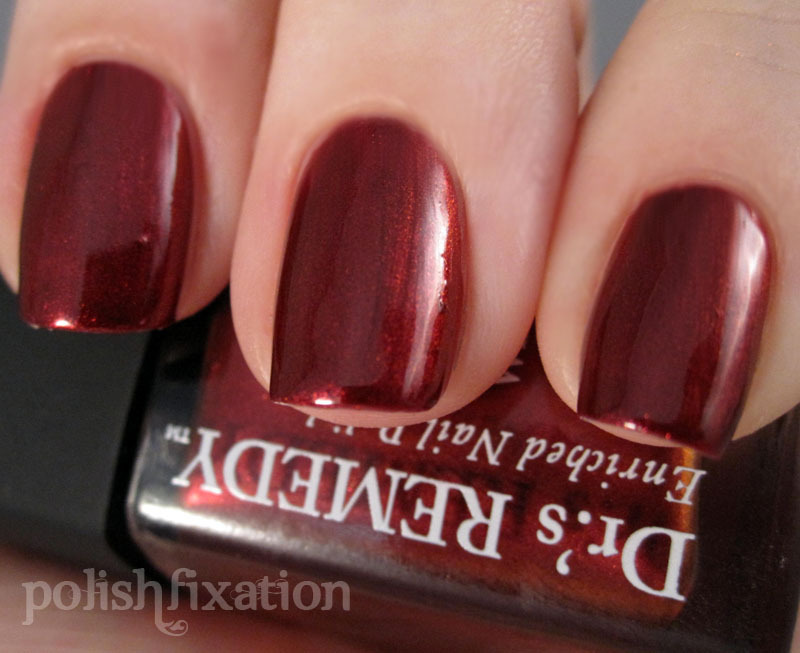 Resolution Red Glitter is "A red-meets-copper spin that's sequin-look-alike laden high-shine and sparkle". This color appears more pink to me than it does red-copper, but that doesn't mean I don't love it! Just like the silver glitter of the set, this could have been worn in a single coat (but again, I did two for good measure). It's really festive and kind of reminds me of crushed candy canes! All in all I really enjoy this set a lot and think that it really is perfect for the holiday season! What did you think of the Jolly & Joy collection? Just started swatching these today and REVIVE Ruby is amazing! !